Neato, my head hurts though looking at all the data provided! It's obvious you guys are much smarter than me. I'm just trying to look at things from my limited perspective in hopes that it helps in some way with what you guys are doing. Looking at your design, have you considered what rear bearing housing you're going to use? Maybe you can just steal it from another car. 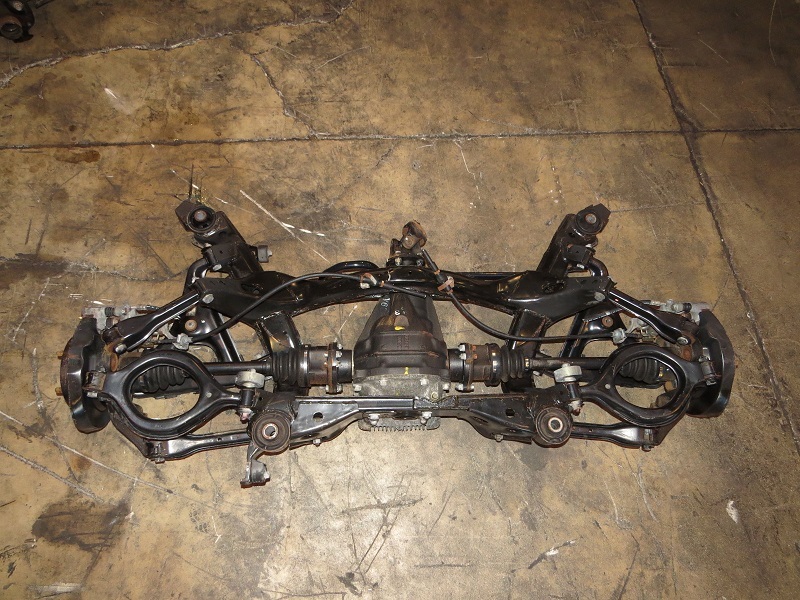 I was trolling pics of the S13 rear subframe, and I'm seeing a few similarities in your design. Maybe you can use those hubs since they are readily available and pretty inexpensive. The S13 units have an extra link on the top and the lower control arm mounts to 2 spots on the crossmember, so it may not work for this application. I love fabricated parts, but I like bolt on parts more. If there is any way to reuse parts from another car to save time, money, and headaches, I'm all for it. I'm excited to see where this goes and hoping I can grab a unit myself at some point. Jeff, how would having Byron's brackets affect the use of your system? jeffball610 wrote: It's obvious you guys are much smarter than me. I'm just trying to look at things from my limited perspective in hopes that it helps in some way with what you guys are doing. The problem is any other suspension design will require cutting out everything and starting from scratch. There is barely room for what we are doing. The reason we have done everything the way we have is purely so it can bolt into any sedan (Soon a kit for wagons) with minor or no cutting. we may do different bearing carriers one day or who knows. PoorMtnKid wrote: Jeff, how would having Byron's brackets affect the use of your system? We will know more when the prototypes are done. I have Byron's brackets in my car. Raising the pivot should help with anti-squat but gotta check and see what it does to toe change. With your design, toe can be easily changed by using different width spacers at the crossmember pivot point. If you use smaller spacers to the inside of the rod end it will increase toe-in. Yep we talked about that just don't know how much adjustment it will give you. We will soon find out. And at this point most post is completely irrelevant.... but hey it ideas!! It is back together. datzenmike wrote: Too bad about the fire wall. What does the V8 weigh? I think the work you guys are doing is fantastic. No doubt this project has been a journey of trial/error/lessons learned....I mean seriously, you guys are re-engineering a part that datsun determined to be optimal for mass production. Therefore, I doubt it would be an easy endeavor to do better....but it seems you guys are. I can't wait to hear about initial install and impressions. 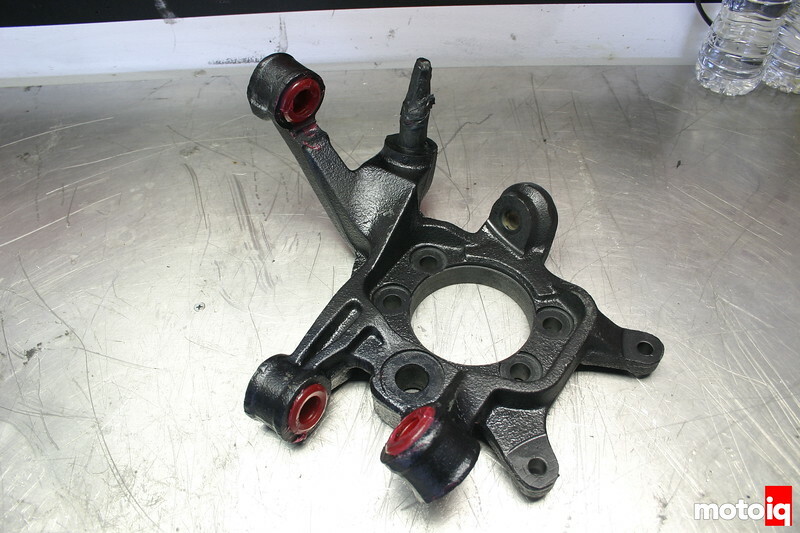 Although it may be a high dollar part, it seems all owners will consider this setup at some point when weighing whether to repair or replace rear control arms. Again, can't wait for the outcome.